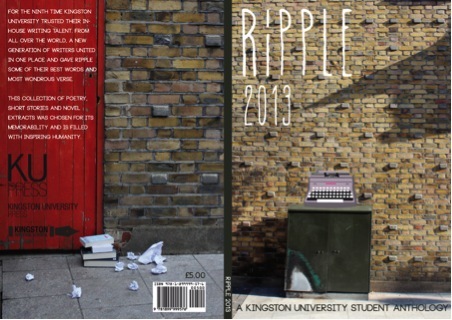 Co-editor of RiPPLE 2013, May-Grace Nahas, tells us about an innovative marketing approach for Kingston University’s annual literary anthology. 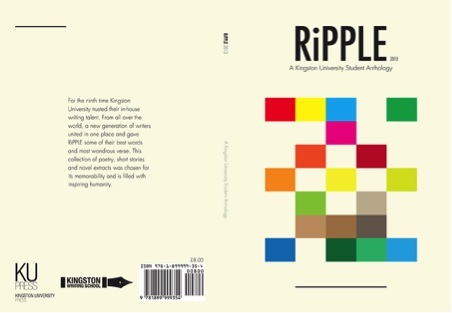 Each year one or two MA Publishing students are commissioned to produce RiPPLE. 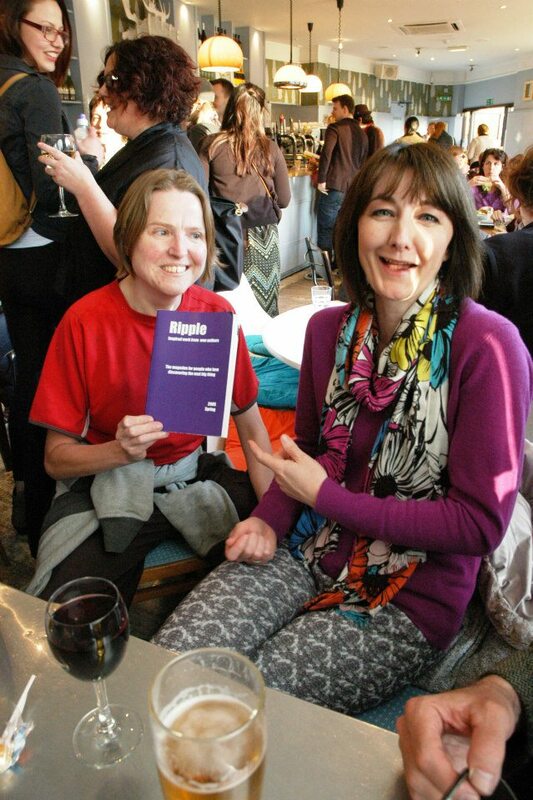 This time around Iris Poesse and I were fortunate enough to get the job… and a big one it turned out to be. We experienced the entire process of bringing a book to life; from finding the authors and content, to sending it to the printers. I learned so much in the lectures, seminars and masterclasses of my MA, but being able to work on RiPPLE was the cherry on top that really tied it all together for me. Sometimes I think publishing is a little like having a baby. There are moments of frustration, like when we had to decide on the final list of authors and cut out some of the work we really liked, or piecing the final manuscript together bit by bit. There are moments of pain, like having the manuscript sent back from the printers with requirements for further tinkering. But then there is that moment of pure joy when you get to hold your brand new, beautiful, book in your arms for the first time. Like so many great ideas, RiPPLE was initially conceived in a pub (Kingston University’s Penrhyn Road ‘local’, the Spring Grove). In the winter of 2005 students Alice Thurling and Lisa DiVito decided it was time the creative writers had a platform to showcase their work, and by spring of that same year the anthology was on sale. Two years later the publishing students decided to get involved and rightly so. Just as writers practise their writing at university, prospective publishers also exercise their craft. 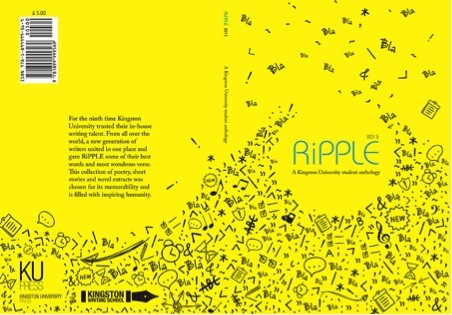 Since the coming together of these two departments of study, RiPPLE has blossomed and each year its readership has become wider and wider. That’s the RiPPLE effect for you. May-Grace Nahas is co-editor of RiPPLE 2013 and is a Master’s student in Creative Writing and Publishing at Kingston University.